Andrew G McCabe has been appointed as the acting director of FBI until someone fills the place of former Federal Bureau of Investigation James Comey. The USA president Donald Trump fired him recently. Let’s get to know who is McCabe and what is his history with the FBI. Earlier, he used to be a private practice lawyer. In 1990, he earned a bachelor of arts (B.A.) degree from Duke. Then in 1993, he was rewarded with his Juris doctor degree from the Washington University School of Law. 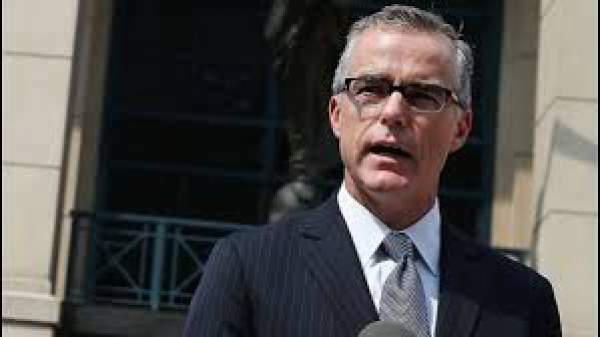 In 1996, McCabe joined the FBI as a special agent in the New York division and investigated organized crime cases. Then, he was made a supervisory special agent of the Eurasian Organized Crime Task Force in 2003. It was a joint operation with the NYPD. Check: Youtube to mp3 online. Three years later, he was named as the unit chief of extraterritorial investigations of Sunni extremist targets in the FBI headquarters. The task force’s aim was to focus on counterterrorism. Then, he was made the assistant section chief of International Terrorism Operations Section One, the unit responsible for counterterrorism investigations in the US. Some years down the line, McCabe earned to become the assistant special agent in the Washington field Office’s counter-terrorism division in 2008. The next year, he became the first director of the High-value Interrogation Group. In 2011, Andrew G. was named deputy assistant director where he was tasked to oversee the international terrorism investigations at the Counterterrorism Division at the bureau’s headquarters. Andrew G. McCabe will hold the position of acting director of FBI until President Trump names a new FBI director. Stay tuned to TheReporterTimes for latest worldwide news and updates.